John Richardson of Hingham made the preservation of Hingham’s history his life’s work, amassing a large collection of Hingham-related books, furniture, artifacts, documents, and “ephemera.” He once wrote that he had “over 75,000 documents, diaries, journals, letters, surveys, maps, tax lists, photographs, etc.” in his collection, and the Hingham Historical Society was lucky enough to receive part of this treasure trove upon his death in 2011. Three years later, we continue to work at cataloguing his substantial donations to our archives. While most of the Richardson material chronicles the history of Hingham and lives of its citizens, some takes you into the lives of individuals outside of town and to places outside the country. One of these people was Colonel Bernard L. Gorfinkle (1889-1974) of Boston, whose father‘s family immigrated to the North End of Boston in the late 1800’s, when that neighborhood had a substantial Jewish population. Among the Richardson materials on which we are working are six three-ring binders and one box comprising the papers of Colonel Gorfinkle, as well as some of his son, Herbert J. Gorfinkle (1923-2000). The latter provided the Hingham connection, moving to town in 1972 and later giving these family papers to John Richardson. Colonel Gorfinkle was a lawyer. He graduated from Boston University Law School in 1911 but soon found himself heavily involved with this country’s military history. First, his Massachusetts Cavalry unit was called up to help Gen. John Pershing hunt down Pancho Villa along the Mexico border in 1916. His papers include his letters home, photographs, and postcards from his train trips to and from Texas and provide an interesting glimpse of our country prior to World War I. 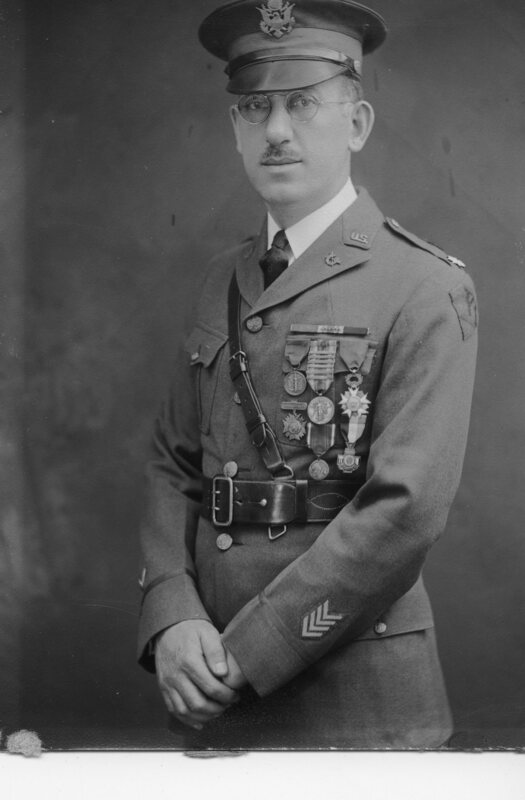 Colonel Gorfinkle’s military adventures continued when he was again called up in 1917 to serve with the American Expeditionary Force in France after the United States entered World War I. Serving first as a lieutenant staff-member and then as Judge Advocate for the 106th Division, he was eventually promoted to Captain. 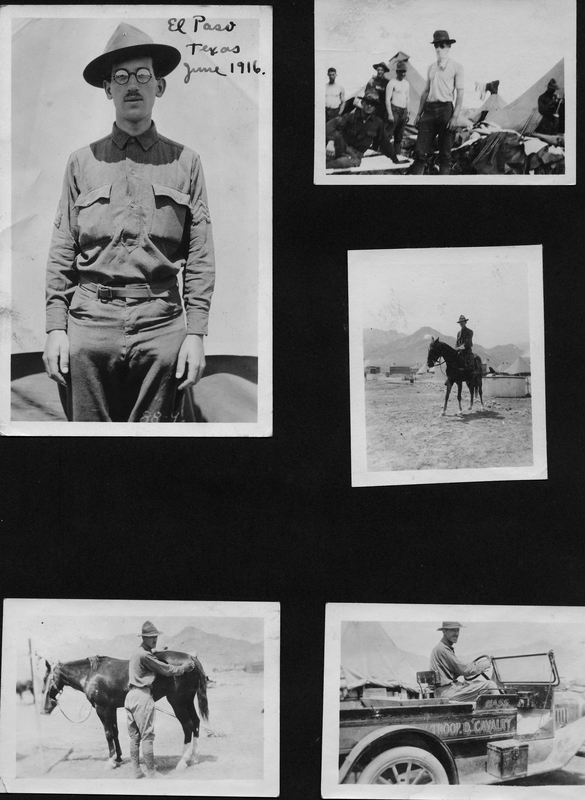 He made many trips to the front, which he documented in letters and photos sent home, to participate in proceedings against both prisoners of war and American soldiers. His many letters, photos and postcards to family members recount both the exciting and the mundane aspects of life during war time. He spent the last months of the war in 1918 near the front in Verdun where he was wounded. For his service he received a Purple Heart, the American Service Award, plus five other military honors including those bestowed by France and Belgium. After the war, Captain Gorfinkle remained in France as part of the American Peace Commission delegation led by President Woodrow Wilson. 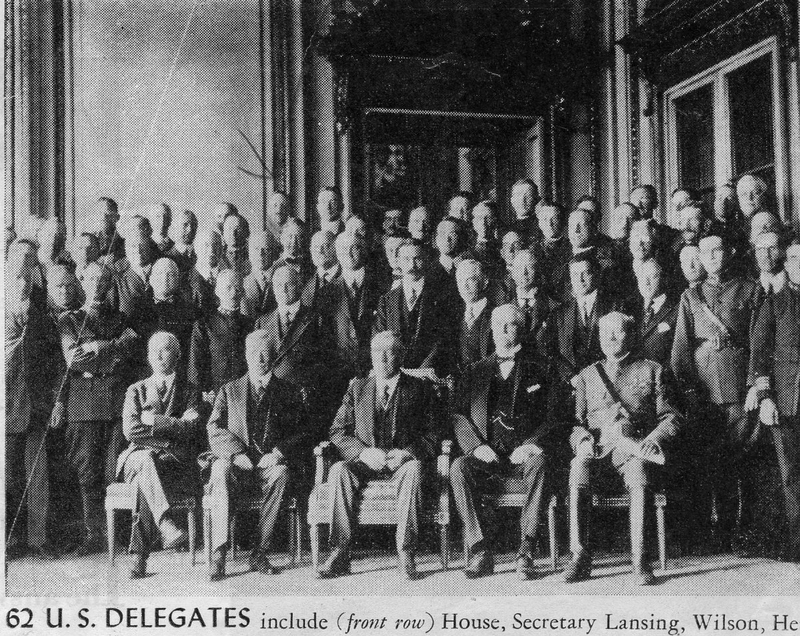 He can be seen in the back row, under the arrow, of this photo of the United States delegation. 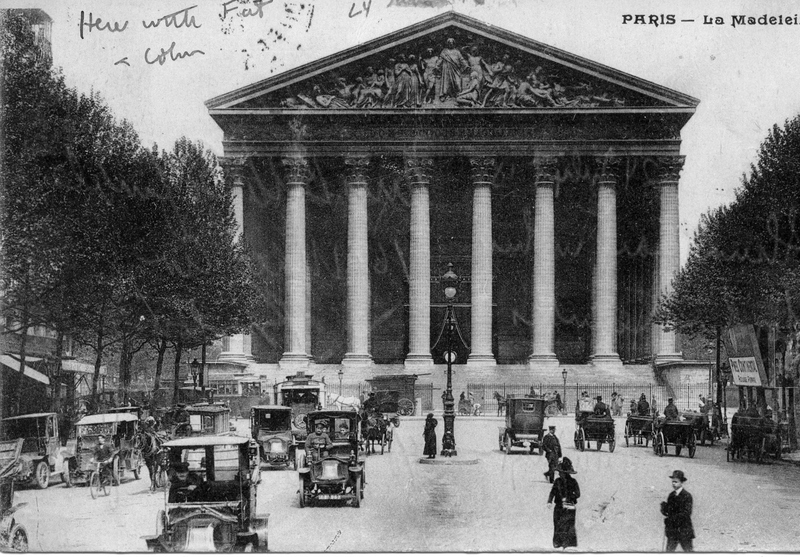 The portion of the collection from Colonel Gorfinkle’s time spent in Paris contains copies of transcripts of the meetings at the conference regarding the final settlement with Germany. On a lighter side, he also saved many postcards of the French capital and the surrounding cities he visited. This entry was posted in Uncategorized and tagged Archives, Gorfinkle family, John Richardson, World War I.